KfW is supporting Egypt in setting up a modern waste management system – to reduce the amount of plastic litter that ends up in the Mediterranean, for example. An interview with the KfW experts Barbara Ölz and Sebastian Aichele on reforming the waste sector in Egypt. 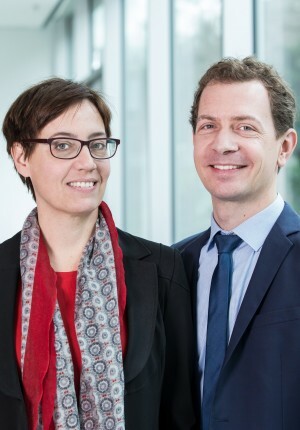 Barbara Ölz is a Technical Expert at KfW Development Bank. Sebastian Aichele works as project manager for modernising the waste sector in Egypt. 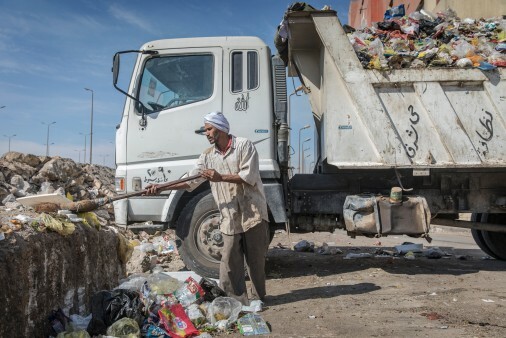 What does waste disposal currently look like in Egypt? AICHELE: It's actually quite simple. Currently only about 60% of waste generated in Egypt is collected, 5% is properly disposed of and 2.5% is recycled. In practice only urban centres have a rubbish dump at all. Most refuse is disposed of in unofficial waste tips beside open canals, roads and in free areas. This leads to many problems: waste pollutes groundwater, blocks water pumps in drainage channels, poses a hygiene risk in residential areas and endangers animal life and the environment. To prevent this from happening, people all over the country burn their refuse themselves, thereby impairing air quality. ÖLZ: Waste management has long been neglected in Egypt, while other sectors have undergone modernisation. Institutional responsibilities are sometimes unclear, specialist and organisational skills are poor, legal and financial framework conditions are inadequate. Moreover, most of the population is unwilling to pay fees and taxes for waste disposal and treatment. The government has a bit of work to do in order to convince the people. What is the role of KfW? AICHELE: We are helping the Egyptian government to modernise all aspects of waste management and are taking a ”sector reform“ approach. This means that we not only offer financial assistance but also support improvements to sector framework conditions, such as new legislation. KfW is tackling this problem together with ”Deutsche Gesellschaft für Internationale Zusammenarbeit“ (GIZ) and with financial support from the European Union and Switzerland. Overall, this is a very ambitious project with a budget of 70 million euros. Thirty per cent of the costs will be borne by the Egyptian government. What is the purpose of the financial support? AICHELE: We finance infrastructure measures, such as constructing and equipping rubbish dumps, waste transfer stations, collection equipment, as well as recycling and treatment facilities. We offer the government support in the strategic planning and management of investment measures. The aim is comprehensive waste collection. Because every kilogram of uncollected waste is one kilogram of waste that potentially lands in the sea. The waste that finds its way into the Nile ends up in the Mediterranean. 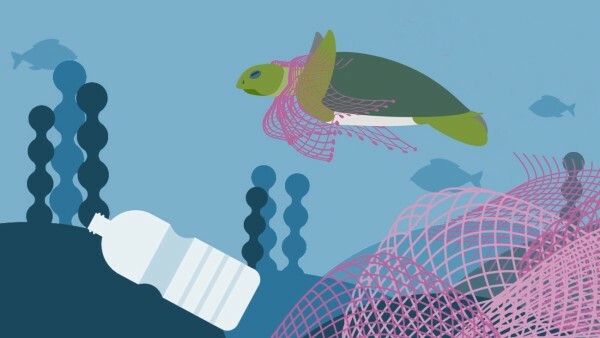 To raise awareness for this problem, the measures are now part of the Clean Oceans Initiative. In mid-October 2018, KfW Group launched the Clean Oceans Initiative together with the European Investment Bank (EIB) and the French Agence Française de Developpement (AFD). The partners have committed an initial amount of 2 billion euros for reducing plastic pollution of the oceans. The new initiative of KfW, the French development bank AfD and the European Investment Bank. ÖLZ: Precisely, it focuses above all on the collection, pretreatment and recycling of waste to put a stop to marine pollution. Is a comprehensive solution realistic? ÖLZ: Initially, we will limit ourselves to four of the 27 Egyptian governorates. It is, however, conceivable that further governorates will be added. This of course depends on the financial possibilities. 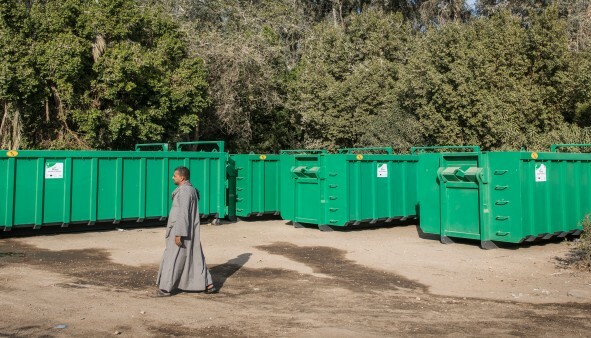 The required investment in Egyptian waste management is extremely high – a total of approximately 3 billion euros. Incidentally, this project also contributes towards decentralisation and the building of structures and skill sets at a local level. This is because waste management is a decentralised topic and every decision promotes greater independence of the governorates. There are still a great many details that need to be clarified – right down to the question of which vehicle can use which road. Uncontrolled waste dumps - Until now, most waste has ended up on roads, next to canals or in open areas. Need for action - Waste is polluting the groundwater. If it is burned with no regulation, as is the case in many places, air quality suffers. Removal - Among other measures, KfW initially financed containers to help clear waste from Egyptian roads. 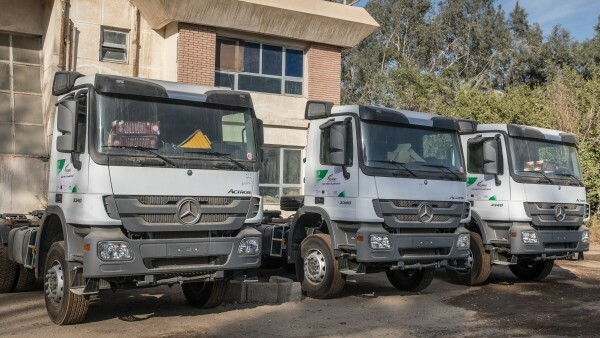 Rehabilitation - Thanks to KfW's investments, a modern waste sorting plant will be installed at the landfill in the Egyptian city of Asyut in 2019. Until now, most waste has ended up on roads, next to canals or in open areas. 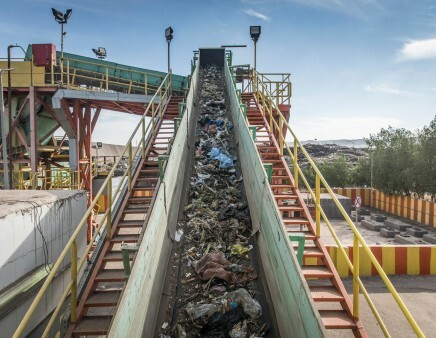 Many infrastructure measures are needed to reform Egypt's waste sector. Additional trucks have also been purchased. What could be achieved so far? AICHELE: An important step was the establishment of a national waste management authority. We are proud to have been able to support the Egyptian government in this important institutional reform step. The governmental office began its work in 2015. It is responsible for the development of the sector's framework conditions, the implementation of structural changes and for steering the programme as a whole. The new waste management law is currently before the parliament. What will happen to the old waste dumps? ÖLZ: Unofficial rubbish tips in the project regions will then be closed once the new waste collection points have gone into service. The piles of rubbish will stay where they are, as the health risks and costs of moving them is usually too high. They will therefore be covered with top soil, then sealed and secured. International consultants are supporting this measure. AICHELE: We envisage that KfW will be committed to this project over the long term and that it will comprise several implementation phases. 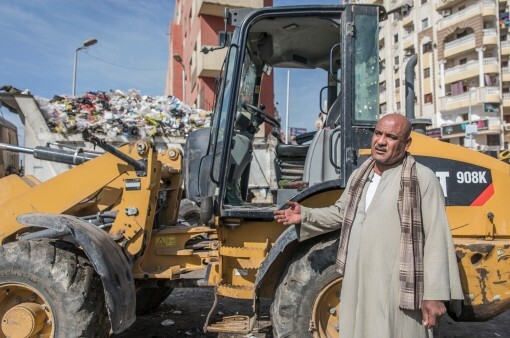 Ambitions are high, as is the hope of all partners to successfully modernise Egyptian waste management. 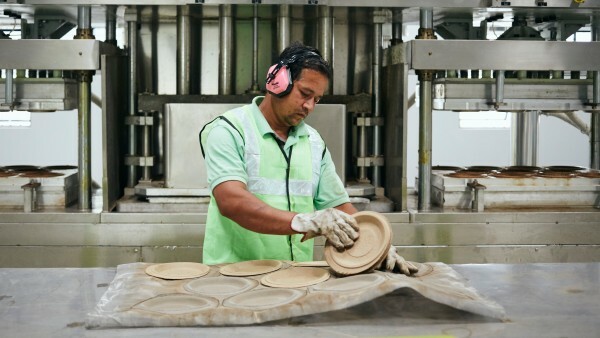 The project is expected to create up to 25,000 new jobs. 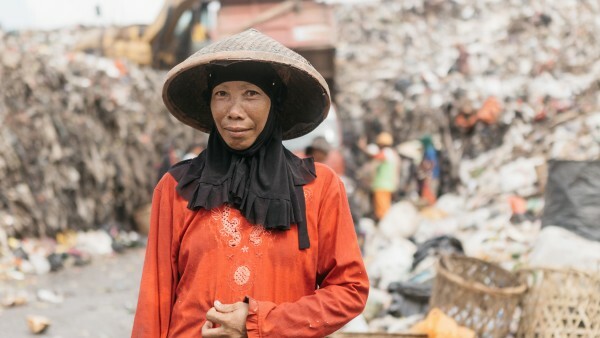 According to calculations by the World Bank, regulated waste management in residential areas could boost economic growth from 0.4 to 0.7 per cent annually.